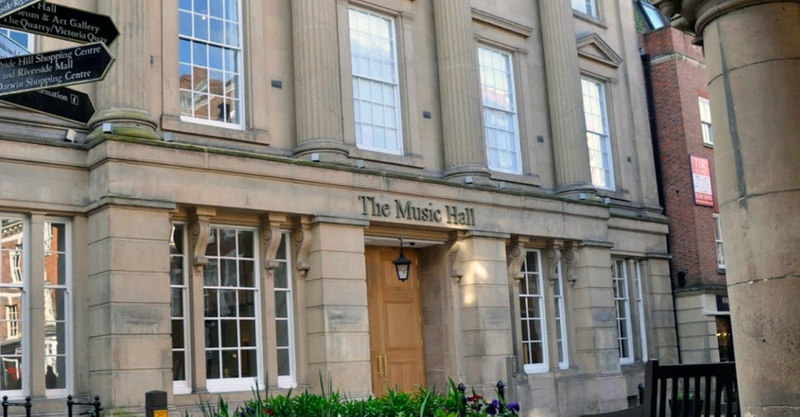 A much loved former music venue in the centre of Shrewsbury is all set to start a new chapter as The Music Hall, a 3,000 square foot museum and art gallery that’s undergoing a £10.5 million transformation involving Arkoni’s expertise and manufacturing capability. Owned by Shropshire Council, the work was carried out by Birmingham-based contractors ISG under the auspices of architects Austin-Smith:Lord. The refurbished and reordered collection of listed buildings on the site, featuring Vaughan’s Mansion, will showpiece historical collections from across the county and will include a retail unit and Visitor Information Centre as well as a 100 seater café bistro. Arkoni’s contribution to the project, valued at around £160,000, has involved the installation of bespoke modern windows and door sets into ancient openings. Martin Quarmby of Arkoni explained: “It’s been a complex and demanding brief given the unique and inconsistent nature of each opening we have worked on. We have been on site, on and off, for a year ending in January 2014. “Non fire-rated curtain walling has been installed within the openings with actuated windows and an oak brise soleil, an attractive and environmentally friendly form of building cladding that adds even more character to the building’s façade. We utilised Unico windows and door sets with additional automatic doors and fire-rated glazed screens also added at strategic points,” added Martin.